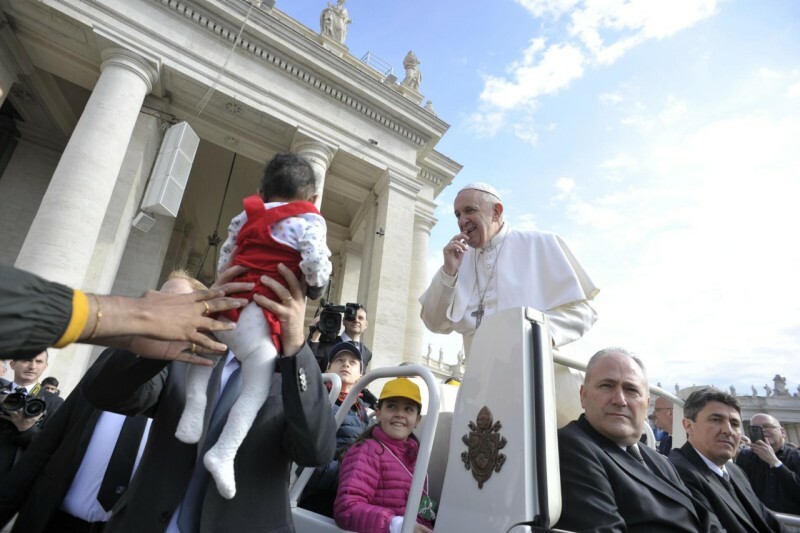 His comments came during the General Audience in St. Peter’s Square attended by the faithful from around the world. The Holy Father explained that in the prayer we ask that the search for God is successful and His plan of salvation is fulfilled. And he pointed out that God searches for each person. “God is not ambiguous, He does not hide behind enigmas, he has not planned the future of the world in an indecipherable way. No, He is clear,” Francis insisted. “If we do not understand this, we risk not understanding the meaning of the third expression of the Lord’s Prayer. The Pope said that in praying the Lord’s Prayer – in saying “You will be done” – we are not asked to bow our heads like we are slaves. Rather, God wants us to be free. “The Lord’s Prayer, indeed, is the prayer of sons, not of slaves; but of sons who know their father’s heart and are of his plan of love. Woe to us if, pronouncing these words, we were to shrug our shoulders as a sign of surrender in the face of a destiny that repels us yet we are unable to change.